​as well as space for photos and mementos. 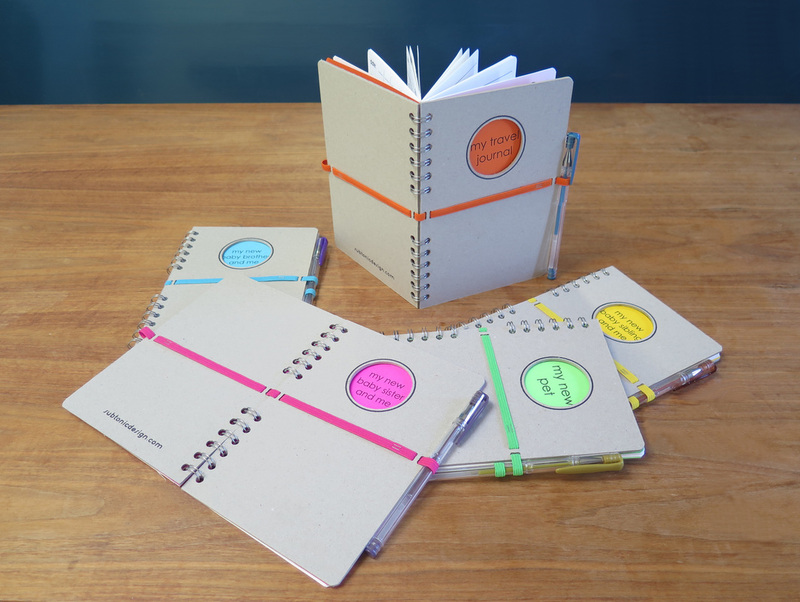 simple wire binding allows journals to open easily and lay flat. integrated elastic pen-closure keeps the pen from getting lost! ​comes in a choice of five bright colors. ​20- page journal to document a new pet. - We are getting a pet! - My new pet is home! ​14- day travel journal with custom map page. - Title page with space for drawing or photo. - Final page with space for photo or drawing of favorite memory from travels. ​baby brother, sister or sibling. 'my life' journals are available to purchase through etsy.